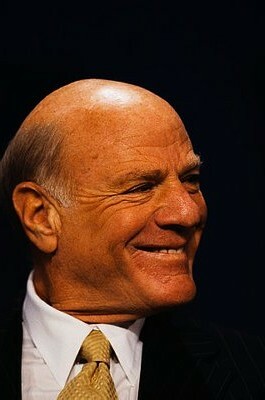 You’d be hard pressed to find two savvier media moguls than Barry Diller and Les Moonves. Diller, the charismatic, long-time industry heavyweight and brainchild behind the Fox Broadcasting Company has held executive posts at ABC, 20th Century Fox and Paramount Pictures over the course his illustrious 50-year career. Among the many credits to his name: pioneering the made-for-television movie format, popularizing the QVC home shopping network and, most recently, founding IAC/InterActiveCorp, an Internet company whose properties include Vimeo and Match.com. 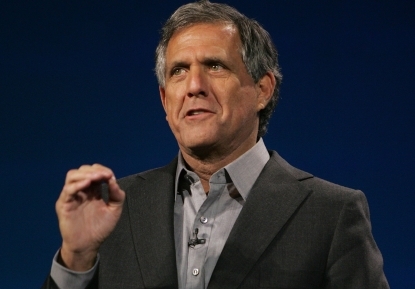 Leslie Moonves, meanwhile, the President and CEO of CBS, is well-credentialed in his own right, having served in executive-level roles at Warner Bros. Television, 20th Century Fox Television and Viacom. The two men have been long-time competitors in the ratings wars, but now their rivalry has shifted from the small-screen to the courtroom. The cause of all the trouble is one of Diller’s IAC-backed companies, an Internet startup called Aereo. While still in its infancy, Aereo is a company with ambitions to match its famous backer. Billing itself as equal parts crusader, innovator and disrupter, the company operates under the banner of fighting for the rights of the average TV viewer in its bid to use technology to break the vice-like grip the media establishment holds over television access in the U.S. It’s the same establishment that Diller himself spent almost half-a-century fortifying, setting the stage for a David vs. Goliath showdown where the part of David is played by a Philistine defector. The main reason the media environment is what it is today—and why Aereo is ruffling so many feathers—goes back more than twenty years ago, to when Congress mandated that over the air-televison broadcast signals be picked up by cable providers, and that the cable providers be required to pay a fee for the transmission rights of those broadcasts. The stated purpose at that time was to advance the public interest, because rural areas where broadcast signal strength was poor could be served more reliably by hard lines than by bunny ears. However at the same time, the fact that the cable company’s (and later satellite company’s) expansion would be largely subsidized by network programming, which was significantly more popular than their own, struck lawmakers as unfair. The result was a guaranteed, legally enforceable revenue stream for the broadcast networks; one that’s been extremely lucrative, with an estimated 90% of U.S. television households currently accessing broadcast TV through subscriptions. Now along comes Aereo, whose business plan for upsetting that delicate balance is as simple as it is bold: For roughy $15 a month they’ll rent you your very own TV antenna. Technology has covered some ground though since the days of the bunny ears, and this antennae isn’t what you’d expect. For starters it’s incredibly small; small enough to fit on the tip of your finger, according to the company. And you’ll never see it; not because of how small it is, but because it won’t be on your roof, but in a central data center along with a few thousand others just like it. All these mini-antennas are wired into a mainframe computer that streams the broadcast signals they capture to your home over the Internet, making them available via a user-interface accessible from your laptop, phone, tablet and yes, even your TV. Aereo’s service is already available in New York City, and a Boston roll-out is in the works. It’s stated goal is to have a presence in a total of 22 U.S. markets by the end of 2013. But standing in Aereo’s way are the network heads, like Moonves, who like the current broadcast environment just the way it is. They don’t care for the idea of Aereo re-broadcasting their content without incurring the same kind of licensing fees that cable companies are required to pay, and have been using every opportunity to make it known, using words like “stealing” and “piracy” to describe what Aereo’s doing. The argument that someone shouldn’t be able to profit freely off the sweat of another’s brow is a worthy one, but it’s primarily intended to contest Aereo’s exclusive claim to the ethical high ground. The network execs know their business relies heavily on the dual revenue model of advertising plus subscription, and Aereo represents a true threat to that second part. Not because the networks think Aereo’s capable of building a customer base large enough to put a significant dent in cable subscription numbers anytime soon, but because if Aereo sets a precedent that the airwaves can be harnessed and monetized by companies free of charge, then it would only be a matter of time before cable companies try to use that as leverage to free themselves from the burden of regulations which force them to fork over billions in retransmission consent fees. After all, why should they have to pay for the right to do something that others are doing for free simply because they’re doing it through a coaxial cable instead of an antaena? Moonves is trying to publicly downplay the threat by stating that CBS isn’t concerned about Aereo, but then again he has shareholder nerves to calm. If that were really true, then why pursue Aereo so vigorously through the courts? It’s well-known that CBS fired the first shot in this conflict, filing suit in the U.S. District Court for the Southern District of New York and seeking to enjoin Aereo from continuing operations on the basis that it’s infringing CBS’s copyrighted broadcasts. Moonves is also on record saying he will aggressively go after Aereo wherever they go, a reference to their planned market expansion. You don’t activate the kind of legal machinery that Moonves has at his disposal unless you’re mobilizing for war. The district court found in favor of Aereo on the question of the injunction, and a subsequent interlocutory appeal by CBS to the Second Circuit Court of Appeals was also denied, allowing Aereo to continue operations in New York for the time being, but the district court has yet to issue a final ruling on the underlying copyright claim, which means a final disposition of the case is still forthcoming. So round one may have gone to Aereo, but the contest is far from over. If Moonves is true to his word the First Circuit may also be taking up the issue soon. Even if the Southern District of New York finds in favor of Aereo on the merits, CBS is betting that other circuits will split from them, and with Boston being the next Aereo market to rollout, it could be the next battleground. Aereo wants to prevent that from happening at all costs, so this week they fired back by filing their own pre-emtive lawsuit against CBS, seeking a declaratory judgement from the Second Circuit that would essentially bar further lawsuits against the company in other jurisdictions on a res judicata basis. All the procedural maneuvering will eventually be sorted out, and when it is, the issue will likely come down to an interpretation of a single clause of the U.S. Copyright Act that grants copyright owners the right to “perform works publicly.” In its rejection of CBS’s request for injunction, the district court reached the initial conclusion that the dissemination of the copyrighted performances at issue were not public transmissions, but rather private, because each specific Aereo subscriber received a discrete, unique transmission. In other words Aereo argued, successfully for now, that its technology made and transmitted unique copies of broadcasts solely to subscribers who requested them, therefore it was not violating CBS’s exclusive right to perform works publicly. Whether that position survives additional scrutiny, however, remains to be seen. If it does survive, and Aereo gets its declaratory judgment, then CBS has floated the idea of a “nuclear option,” whereby it would remove its broadcasts from the airwaves entirely, and switch to a cable-only distribution model. It’s something network execs have talked about in years past, but never really considered seriously. How open they would be to that idea now, in response to an Aereo legal victory, is uncertain. If one thing is certain though, it’s that Barry Diller has changed the way we view television before, and if he has his way in court, there’s a good chance he’ll do it again.